Welcome to ILEA, New York metro Chapter! 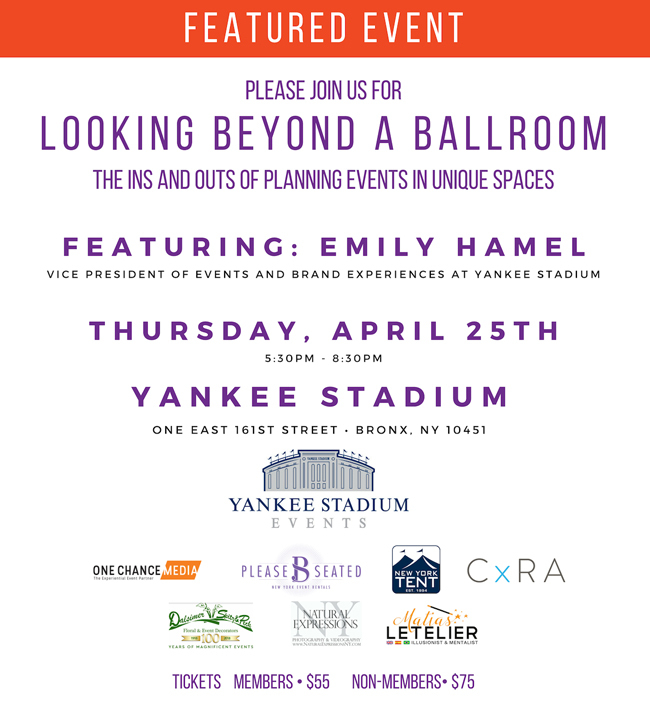 The International Live Events Association (ILEA) New York Metro Chapter is a community of live event professionals rich in spirit, creativity and connections. Our members are located in the Metropolitan area of New York City, primarily, the 5 boroughs as well as Long Island and Westchester. We value creativity as part of our culture and our spirit. We are a community that looks forward to the future with confidence and anticipation, and looks back at our achievements with pride. We care about each other and value community over competition. NY ILEA EIC from David Fletcher on Vimeo.